In 2006 Fr. 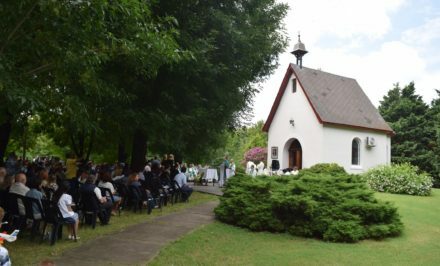 Antonio Cosp, of the Paraguayan Schoenstatt founding generation and the National Director of the Movement at that time, extended a public invitation via social media to those who were interested in beginning the Schoenstatt Apostolic Movement in Encarnación. 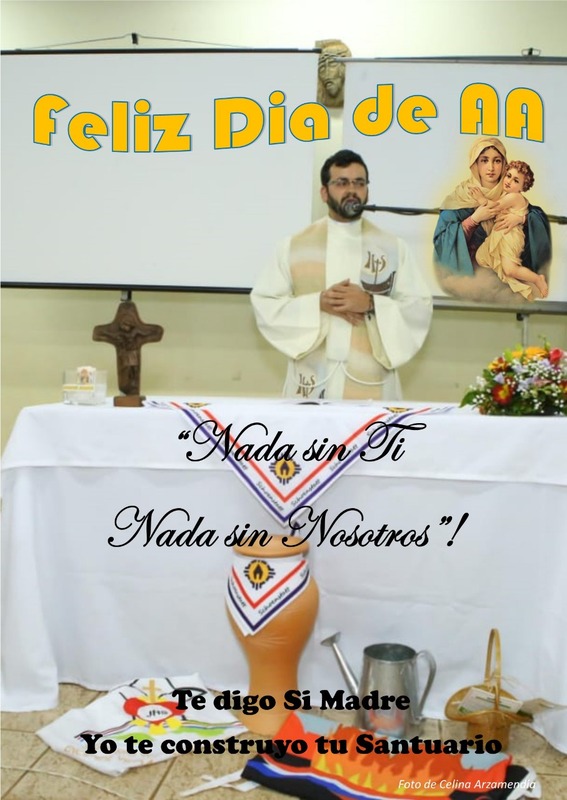 Nelly Díaz and Alfredo Ramírez, natives of Encarnacíon, who reside in Ciudad del Este and are members of the Family Federation, assumed the charge; Bishop Ignacio Gogorza was the bishop of the Diocese of Santísima Encarnacíon at that time. 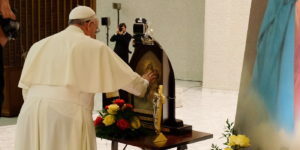 On 20 September 2009, a “historic journey” was held upon the 60th Anniversary of Fr. Joseph Kentenich casting his gaze on Paraguay from Posadas, Argentina. 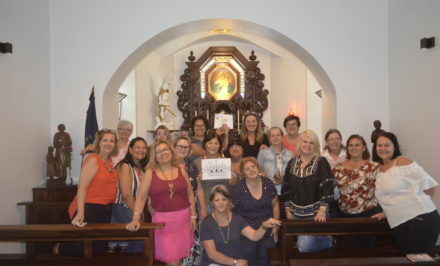 Gathered in the Basilica of St. Roque González de Santa Cruz, after celebrating the Eucharist, to see an video presentation about Fr. Kentenich’s gaze, we departed in a caravan, the Auxiliary picture of the Blessed Mother led the procession of cars, from Cuidad del Este to the historic site of Fr. 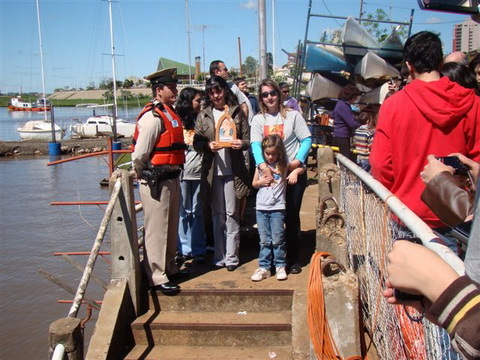 Kentenich’s entrance upon Argentinean land: concrete steps were set up over the Paraná River, used to cross from the hydroplane to land (currently it does not exist, because of the elevation of the height of the reservoir of the Ycyretá Dam). When the Father and Founder visited Oberá, he arrived by hydroplane on 21 September 1949, close to noon, and upon stepping on firm land in Posadas, Fr. Gazmann SVD told our Father and Founder: “Look, Father, Paraguay is there,” and he looked toward Paraguay, on the other side of the Paraná River, toward Encarnación. Then there was a visit to Fr. Gasmann’s SVD tomb, in Villa Lanús, as an act of gratitude towards the person who welcomed Fr. Kentenich on that visit. From the beginning, we have had Fr. 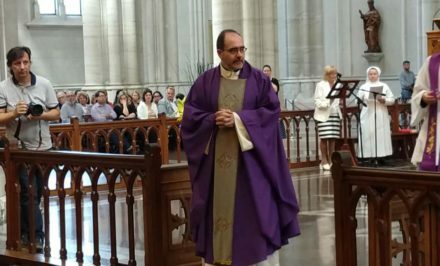 Antonio Cosp’s accompaniment and presence, and since 2015, Fr. Santiago Cacavelos took over that responsibility, and Francisco Javier Pistilli Scorzara is now the Bishop of Encarnación. A year ago, Fr. Santiago committed us, or better said, he challenged us to obtain the land for the shrine. Without wasting time, we with Architect Jorge Hrisuk, municipal councilman, author of this article, presented a detailed presentation to the Municipal Council of Encarnación, the transfer of land that was ceded by the EBY of the city for our use, and starting a process that presented multiple variants. Initially approved, with a series of requirements that must be fulfilled and promulgated by the city’s Mayor, Luis Yd, in 2017, once the requirements are fulfilled, with a presentation of the project and the financing program and unanimously approved by the Municipal Council and the Municipal Executive, a contract of agreement was signed between the city of Encarnación and Schoenstatt Fathers, Fr. Pedro Miraballes and Fr. Santiago Cacavelos; on 14 June 2018. 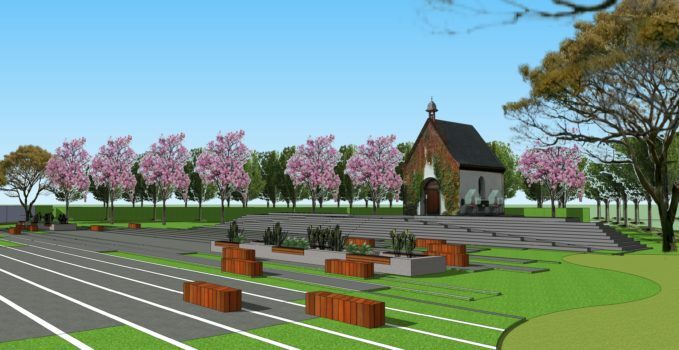 The level terrain forms a part of the Parque Urbano Potiy project, that is, a Shrine will be built in accordance to Laudato Si, like that of Costa Rica. The work will begin in August. A request will be made to the Cambyretá district, on the other side of Potiy arroyo, to level the adjacent grounds, with the aim of having an integrated environmental project for the two cities. 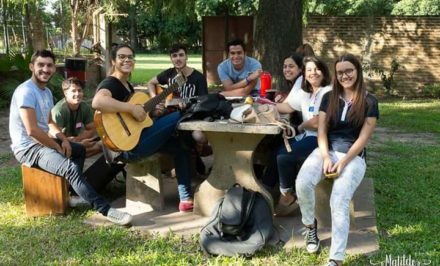 We received your gaze, we assume your mission: motto and challenge for the Schoenstatt Family of Southern Paraguay, in the construction of the dreamed-for Shrine and in its service to the Church and society.